Taken on an Art Deco tour of Napier, New Zealand, March 2010. 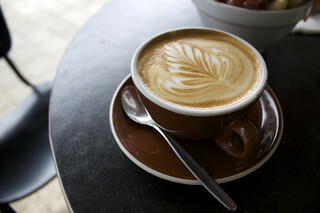 A Flat White is probably the most popular coffee style drunk in New Zealand. Wikipedia.